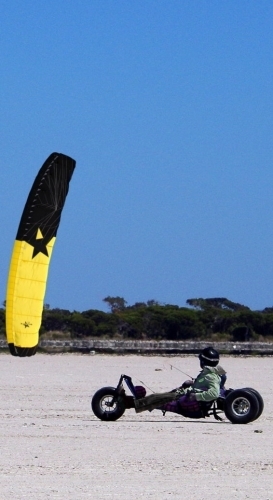 The RaceStar is the first serial high performer single skin depower kite, without profile or diagonal ribs on the sail surface.This ensures barrier-free the fastest air distribution on the underside of the kite, so that a stable bow shape is immediately formed when starting the RaceStar. This design feature achieves remarkable dimensional stability even in gusty wind conditions, as well as when parking at the wind window edge. 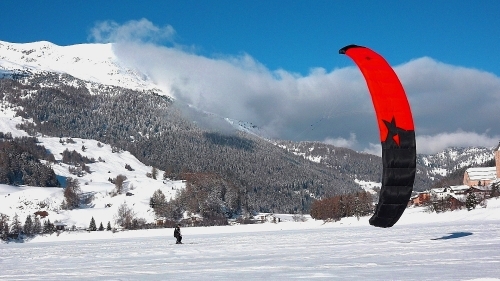 A high aspect ratio of 6.1 guarantees very good upwind properties. 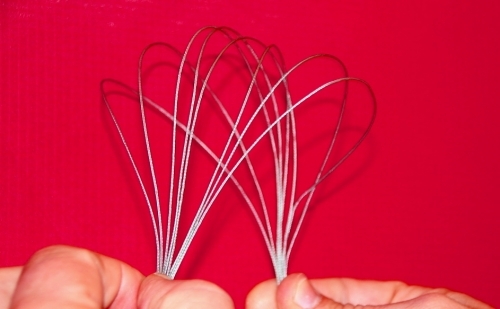 The reduced bridle construction (compared to the LongStar-2), consisting of a mix of stiff bodapre linen (diameter 0.7mm) and dyneema linen (diameter 0.9mm) significantly reduce air resistance, so that comparatively an even sportier flight behavior is achieved. 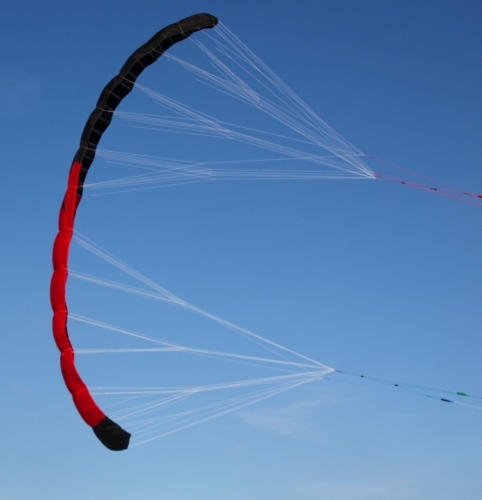 Starting and landing can be done stress-free without additional "staff", because the required air flow is super fast in the kite or can be eliminated. 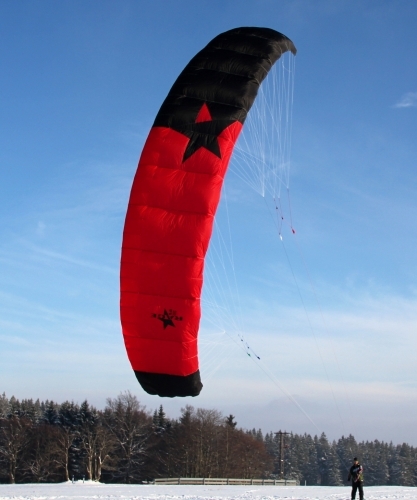 The RaceStar has maximum light-wind characteristics through his single skin construction,is crash, snow + flight sand unremarkable and the pack size, as well as the weight of the RS is extremely low. 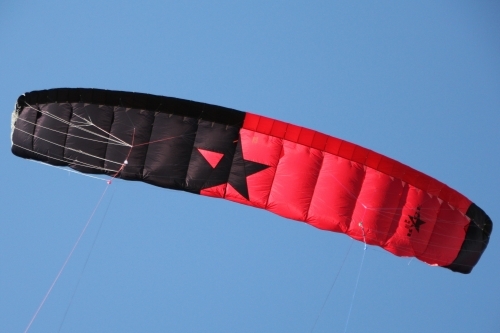 The depower effect on the RaceStar is achieved via a variable angle of attack,which looks more like a tube kite than a double skin kite. The RS depower is working mainly from the "belly" out. In the depower state, the RaceStar is fully controllable, there is a slight residual tension on the control lines. This also allows an easy reverse start over the train on just one control line. 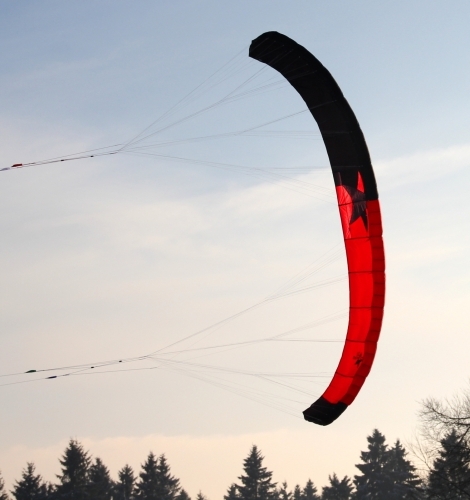 Despite the high aspect ratio of the RS, loops can easily fly over the tip rotation or center rotation. 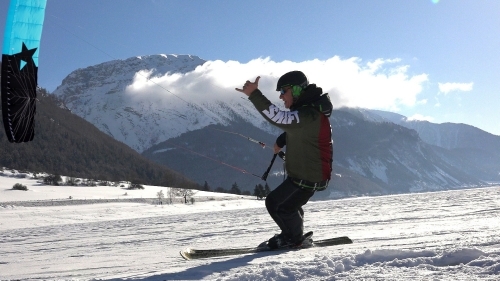 Very pleasant bar holding forces for long and stress-free kiting. 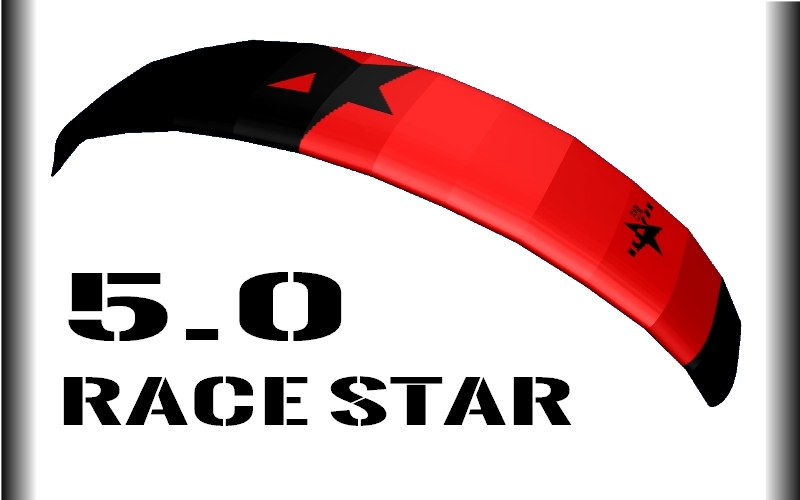 In principle, the RaceStar flies with any 4-line control bar, preferably with a front line safety. 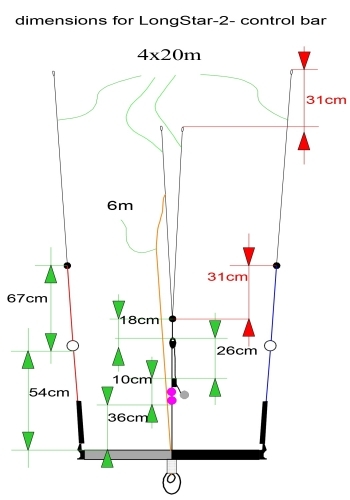 Each RS is prepared for use with a 5th line, the FAS (Front Area Safety) can be retrofitted if necessary. 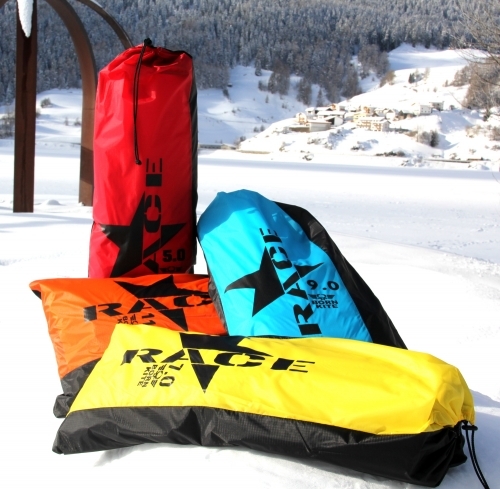 The RaceStar is delivered in a practical soft bag as "KITE only".